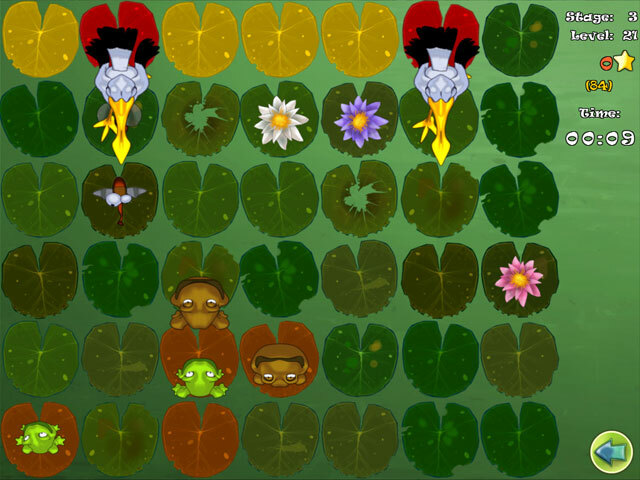 Save your frogs from evil storks and make the pond a peaceful place to live in Frogs vs. Storks, a fun Action & Arcade game! Avoid the hungry storks and help your frog friends survive the assault. Move quickly and avoid adding frog legs to the menu and bring back the peaceful life the frogs are used to! 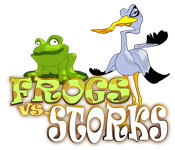 Frogs vs Storks is rated 3.5 out of 5 by 2. Rated 4 out of 5 by planetankh from Good strategy game Seems easy at first but you gotta do some thinking as you progress up the levels or to complete the goal in a certain number of moves. It's sorta like chess if both players made their move at the sam time. Interesting and entertaining. Rated 3 out of 5 by rhennrainbow from These Are Not The Frogs You Are Looking For! 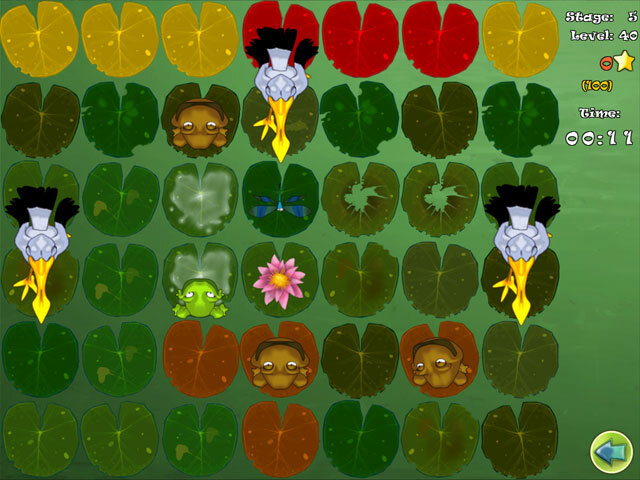 I got this game confused with Frogs In Love, a game I adore. This game isn't near as good, but is still kinda fun. 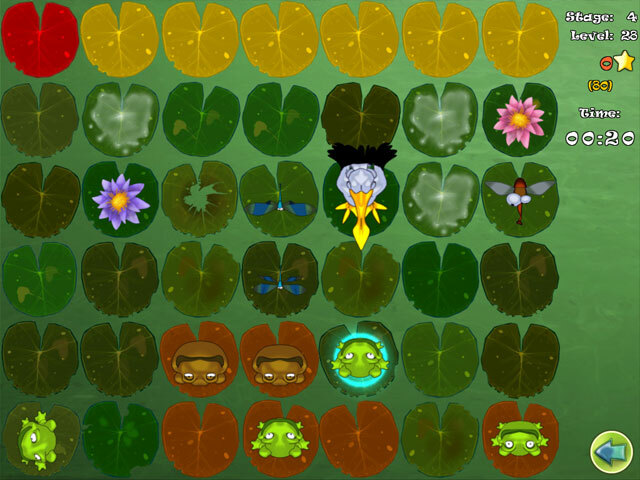 You play as frogs, moving them from lilly pad to lilly pad to acquire bugs, flowers, and stork eggs as you make your way to the golden lilly pad. Every time you move a frog, the stork moves the opposite direction. A simple but fun game. I probably wouldn't recommend it, because it's repetitive and gets boring quickly. But if you like the Frogger/Pac Man type games, definitely download the free trial and give it a go. Save your frogs from evil storks and make the pond a peaceful place to live in Frogs vs. Storks, a fun Action & Arcade game!